1 D None No Power Seat 1 D may have restricted legroom. 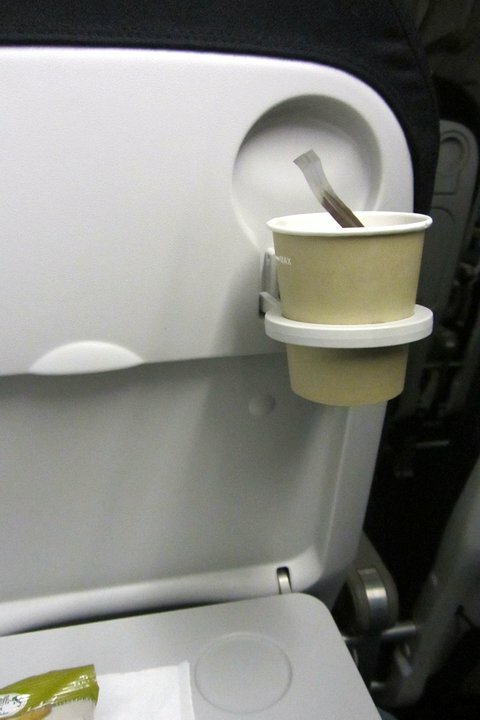 The proximity to the lavatory and galley may be bothersome. 1 F None No Power Seat 1 F may have restricted legroom. The proximity to the lavatory and galley may be bothersome. 10 A None No Power Seat 10 A has extra legroom. 10 B None No Power Seat 10 B has extra legroom. 10 C None No Power Seat 10 C has extra legroom. 10 D None No Power Seat 10 D has extra legroom. 10 E None No Power Seat 10 E has extra legroom. 10 F None No Power Seat 10 F has extra legroom. 2 A None No Power Seat 2 A may have extra legroom. 2 C None No Power Seat 2 C may have extra legroom. 23 D None No Power Seat 23 D is in the last row. The proximity to the lavatory and galley may be bothersome. 23 E None No Power Seat 23 E is in the last row. The proximity to the lavatory and galley may be bothersome. 23 F None No Power Seat 23 F is in the last row. The proximity to the lavatory and galley may be bothersome. 24 B None No Power Seat 24 B is in the last row. This seat has limited recline. The proximity to the lavatory and galley may be bothersome. 24 C None No Power Seat 24 C is in the last row. This seat has limited recline. The proximity to the lavatory and galley may be bothersome. 5 A None No Power Seat 5 A is a standard Business seat with a misaligned window. 5 F None No Power Seat 5 F is a standard Business seat with a misaligned window. 9 A None No Power Seat 9 A does not recline. 9 B None No Power Seat 9 B does not recline. 9 C None No Power Seat 9 C does not recline. 9 D None No Power Seat 9 D does not recline. 9 E None No Power Seat 9 E does not recline. 9 F None No Power Seat 9 F does not recline. 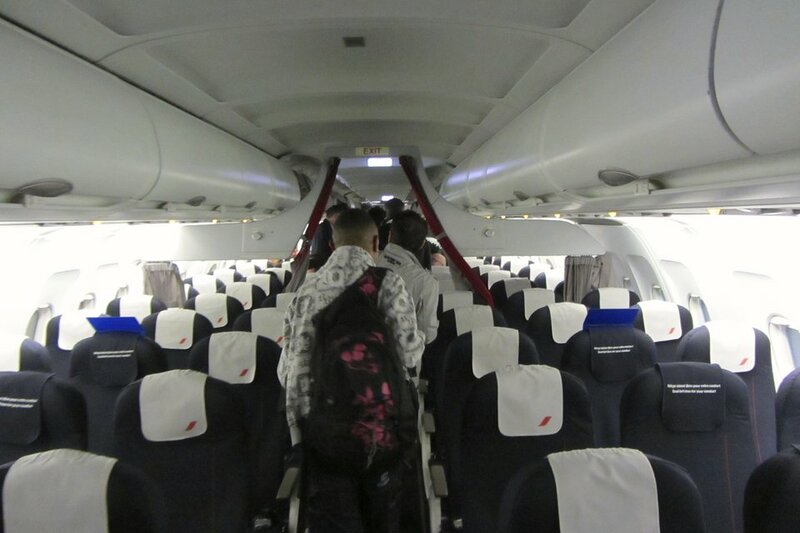 Seating is configured in a two class layout featuring European-style Business Class and Economy Class. REALLY UNCOMFORTABLE IF YOU ARE TALL AND LONG-LEGGED. I was in pain the whole way from Paris to Venice. My knees and shins were jammed against the hard backed seat in front of me. I am 6 tall. I paid Delta for premium economy from California to Venice to get more legroom. 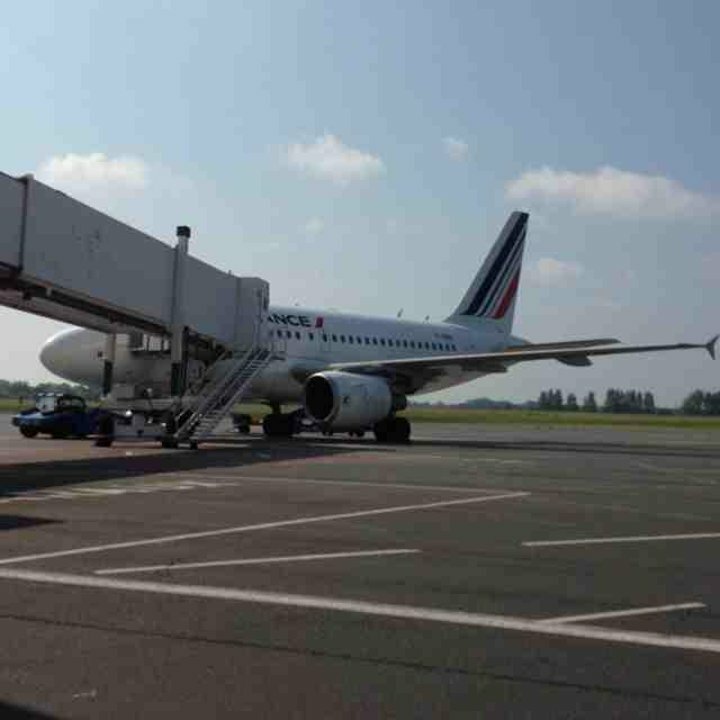 The Paris to Venice leg was run by Air France. I really doubt that the seat pitch is 32. Somebody needs to confirm seat pitch. It makes a big difference for many of us. Less than 1/2 inch to the hardbacked seat infront of me. Cramped CRJ type church pew comfort. I am 6'1" Agent was adament about taking luggage, bins were more than adequate to have taken them. It was terrible. The seat was small and none of them reclined. No inflight entertainment. no built in pillow/real head rest. No seat pitch for a tall man (1,90 cm). 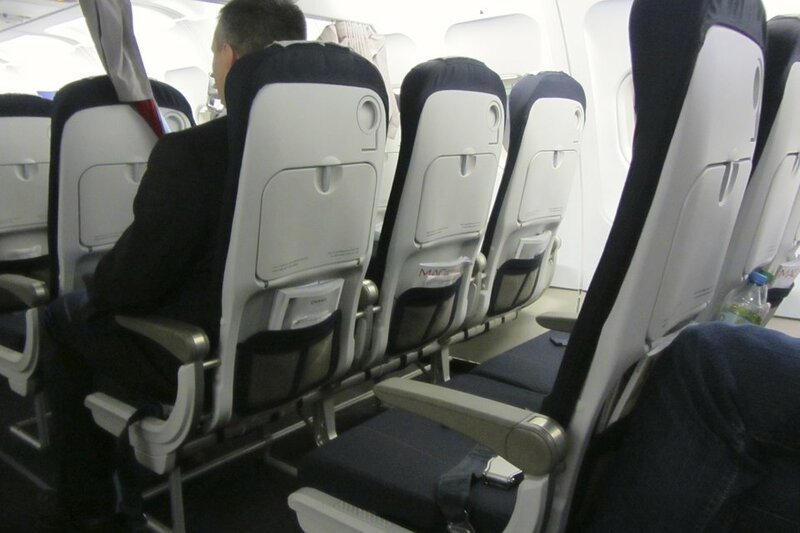 Exit rows and seats with a bit more seat pitch should be free of charge. Air France now is forcing us to put bag packs under the seat. Note that it was my only carry on luggage. It is a great seat, has vear outside views and is close to emergency exits etc. 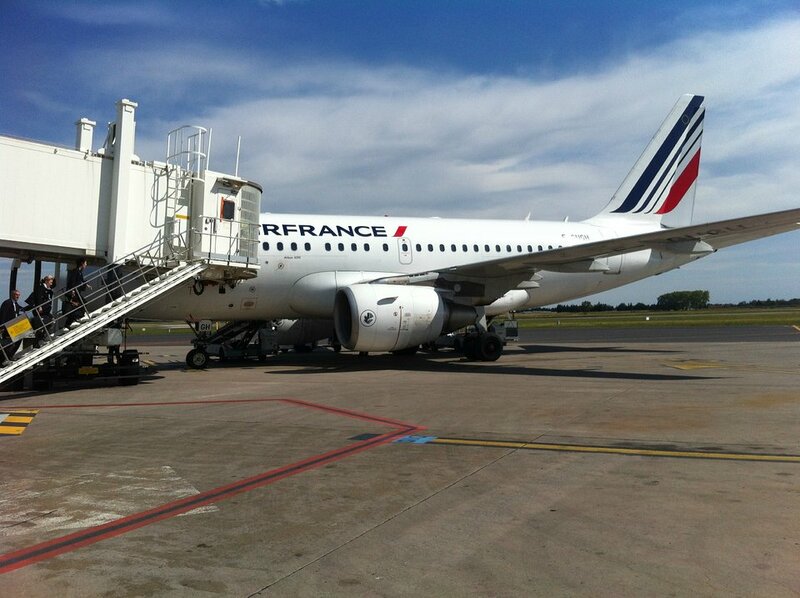 Air France flies 1 versions of Airbus A318.